Something we get asked time, and time again is how do I track my website better with Google Analytics? It’s a good question! We have compiled a list of our top 10 Google Analytics tips for better website tracking, to help you set up your analytics account effectively, whilst also helping you get the most out of your Analytics! Don’t worry you’re in the hands of a qualified SEO wizard from Hogwarts School of Digital Marketing, who’s only slightly delusional! Our first Google Analytics tip is albeit an obvious one, but you wouldn’t believe the number of Google Analytics accounts that only implement one view. This is normally labelled ‘All Website Data’. Hands up if you’re guilty of this? It is highly recommended by Google that a minimum of three views be implemented in your account. A view that collects raw website data. This is the back-up containing all unaltered data. A filtered view, known as the reporting view, where filters and goals are implemented. A view where you test any account setting changes, filters, goals, and ecommerce tracking to ensure it works prior to its implementation in the reporting view. Did you know that there is a recommended placement for the Google Analytics tracking code? If you answered no, then you may want to read on. The placement for the Google Analytics tracking code, recommended by Google, is immediately before the closing </head> tag into every page of your website you wish to track. You must copy your tracking code in its entirety, and paste it exactly as is. This is essential! Tip: Don’t know how to find your IP address? Go to Google, and search ‘what is my IP address’, and Google will display it for you (don’t worry we were freaked out as well!). The geniuses at Moz have got you covered with their great article called How to stop spam bots from ruining your analytics referral data. 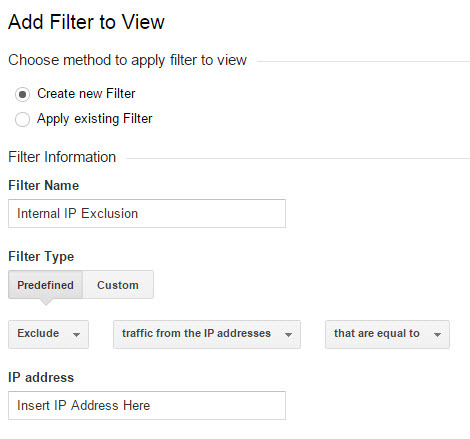 They also show you how to easily set these filters up in Google Analytics. When users visit your website you want to know how they interact with your site. Queue goal conversion tracking. Goal tracking measures how well your site fulfils your marketing objectives. Goal conversions measure a desired action a user completes on your website. Goals can be classified as macro and micro conversions. You want to remember that goals are set up at the View level of an account, and are recommended to be implemented in the Filtered (reporting) view. You can also attach a goal value to each of these conversions. 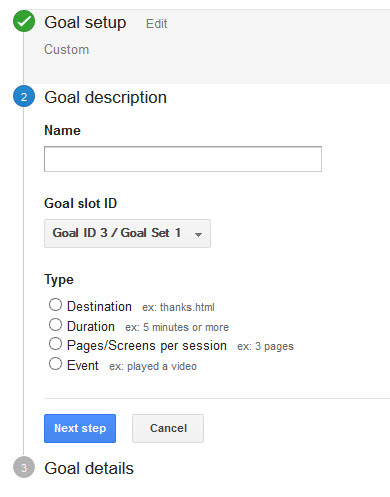 To learn how to implement goal tracking in your Google Analytics Filtered view you can use the Google Goal tracking support resources. This is a little more advanced, but is well worth the implementation! Creating content groupings in your Google Analytics account allows you to identify the best performing content categories. You can also create content groupings that segment your data by product category. For example you can create one grouping of female clothing, broken down by categories including tops, pants/bottoms, dresses, shoes, jewellery and accessories. This will help you identify which area drives the most traffic and conversions. Once the content groupings are created you can analyse the content that drives the most conversions, whilst identifying areas of content that require more attention. This will help to formulate your future content strategy. Moz has got you covered again with their useful article about content analysis in Google Analytics using content groupings if you would like to implement this feature now. Google Analytics has the functionality to link with other Google products including Google Webmaster Tools and Google AdWords, just to name a few. When Google Analytics is linked to these other products, you gain further insights into your search optimisation data. When these two tools are linked, you have access to Google Webmaster Tools data in Google Analytics, and vice versa. 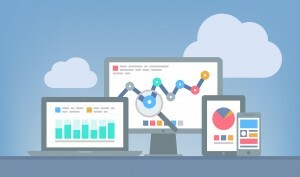 Google has launched a funky new feature in Google Webmaster Tools called the Search Analytics report, which will replace the Search Queries report. Google has commented saying that this new addition will add more functionality for greater analysis. “The new Search Analytics report enables you to break down your site’s search data, and filter it in many ways in order to analyse it more precisely”. They have also said that the Search Analytics report is more accurate than the Search Queries report. When you get a chance go, and have a look. Happy analysing! To learn how to link your accounts, read Google’s linking Webmaster Tools with Google Analytics. If you have transaction points on your site, then it is essential that you implement e-commerce conversion tracking in Google Analytics. Google Analytics collects data pertaining to the sales process (funnel), products and transactions. This will give you a greater understanding of which products sell, along with other useful information including product revenue, and the number of transactions occurred. Analysing this data will allow you to identify the products that drive significant sales, whilst also identifying products that do not perform as expected, thereby allowing a site owner to further optimise their product offering to further tailor to their customer base. You can learn how to set up ecommerce tracking using Google’s useful help pages. utm_source: identify the source that is sending traffic to your website. utm_medium: the medium of the campaign e.g. CPC. utm_campaign: the unique campaign name. Imagine being notified when your traffic has decreased below a certain level. Magic? As a Harry Potter fan I’d like to say yes. Alas, this is not the case, in fact it’s a simple function in Google Analytics that allows you to be notified when certain events occur on your site. This intelligence is essential, as it allows a user to identify data anomalies, and analyse them to identify what has caused them. If you want to learn more about custom alerts, Kissmetrics has a great article discussing how to implement custom alerts in Google Analytics. 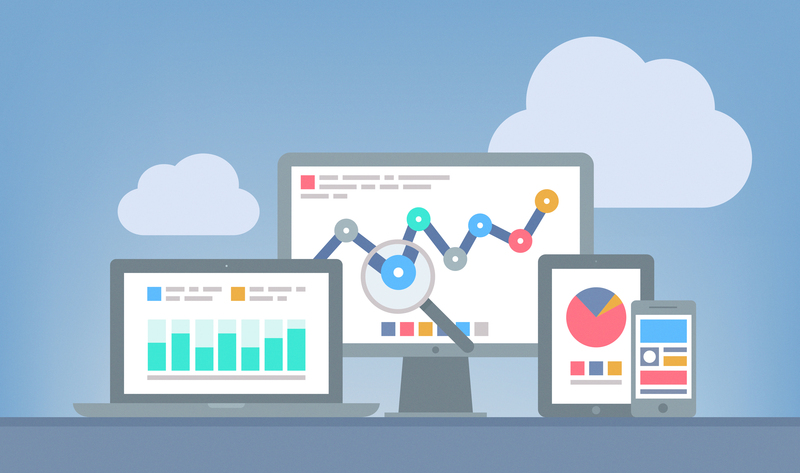 We hope you found our 10 Google Analytics tips for better website tracking useful. Don’t worry if you couldn’t be bothered learning all of the intricacies of Google Analytics, we can help. If you require Google Analytics implementation feel free to contact us. We’re always happy to help.